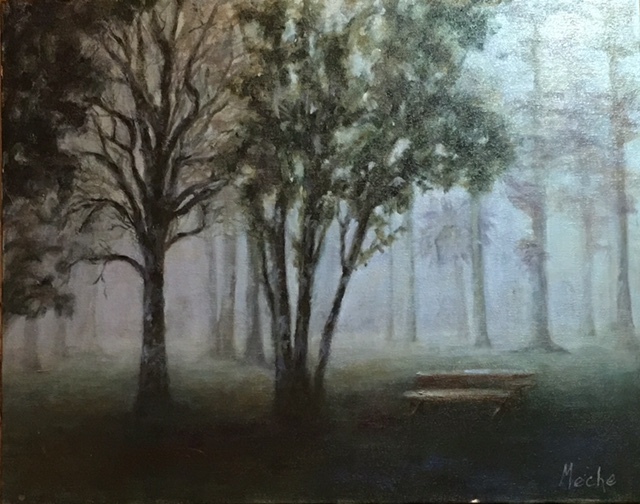 Landscape Oil painting on Canvass, "Beautifully Quiet", 16"x20", by Mercedes Franklin, $695. When you walk out to the end of the pier in this fog you are totally isolated. Can't see around you only can hear. Kind of eerie. But at the same time totally wonderful!